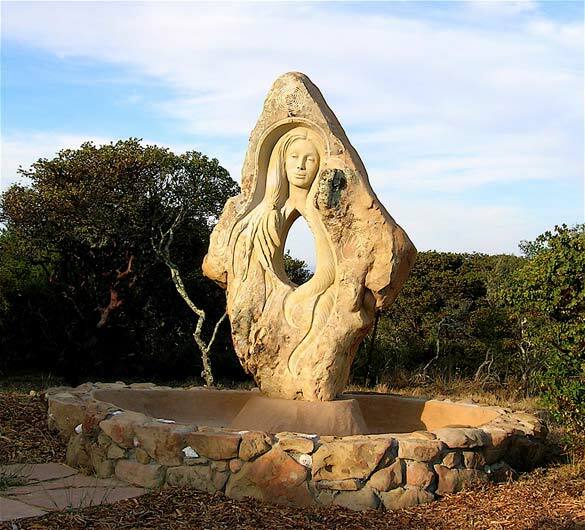 A fully functioning fountain: through the bones of the Mother flow the water, sunlight and air into the basin of stone and earth. Her heart is open, a sacred Vesica Piscis gateway. Part mountain with feathers and hide and part water, this monument is like a Tor, (atractor of energy)- a place where ceremonies are held.